You can stop fighting with your children! 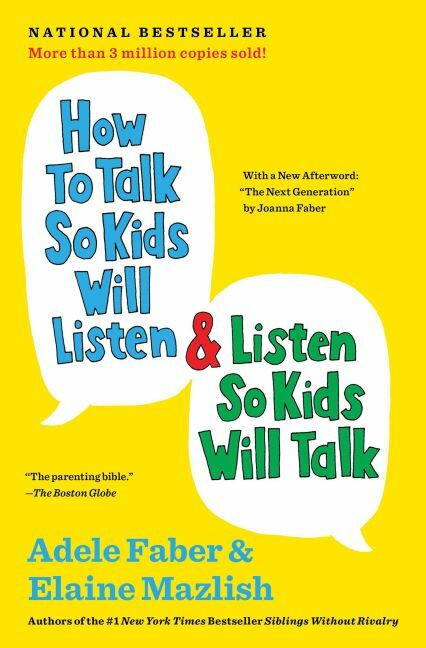 Here is the bestselling book that will give you the know-how you need to be more effective with your children—and more supportive of yourself. Enthusiastically praised by parents and professionals around the world, the down-to-earth, respectful approach of Adele Faber and Elaine Mazlish makes relationships with children of all ages less stressful and more rewarding. Now, in this thirtieth-anniversary edition, these award-winning experts share their latest insights and suggestions based on feedback they’ve received over the years. * Cope with your child’s negative feelings—frustration, disappointment, anger, etc.